Mohr Partners announces that CREW (Commercial Real Estate Women) Dallas recently named Paula Nodwell, Managing Principal in Mohr Partners’ Dallas corporate office, one of six finalists for the 2012 Individual Award for Career Advancement of Women. The award recognizes a member who has consistently given their time to mentor and promote other women in the industry. As a finalist, CREW Dallas acknowledges Ms. Nodwell on her commitment to the professional development through transmission of knowledge and career support of women. Paula has had a distinguished 30-year career in commercial real estate and has worked with such firms as Trammell Crow Company and General American Life Insurance. 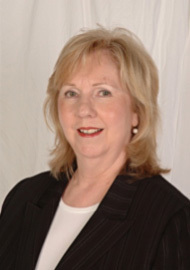 She is a Certified Property Manager (CPM®) and a Certified Commercial Investment Member (CCIM). She is also a graduate of the University of North Texas earning a Bachelor of Fine Arts degree and Baylor University with a Master of Business Administration with focus on international business. Ms. Nodwell was named Partner of the Year for Mohr Partners in 2004 and was awarded the Mohr Partners’ President’s Award in 2007. She began her career at Mohr Partners as a Senior Portfolio Account Manager, handling accounts for such clients as Great-West Life Insurance Company and Renal Care Group. She was promoted to the Director of Portfolio Account Management in 2002 where she had numerous responsibilities, from client service to existing accounts to specialized projects, until her promotion to Managing Partner in December 2002. In 2010 she became Managing Principal. Ms. Nodwell serves on Mohr Partners’ Executive Management Advisory Committee, providing oversight and guidance to all offices of the company. Prior to joining Mohr Partners, Paula was engaged as as consultant by the Trammell Crow Company to assist in various management assignments including assisting with the due diligence for the sale of a $100 million portfolio of properties for Bank One. She was an asset manager for General American Life Insurance Company prior to her work with Trammell Crow. During her tenure at General American Life Insurance Paula earned distinction as the only female field Vice President in the company. She had full responsibilities for all operations of an $80 million portfolio of equity and foreclosed properties throughout Texas and Louisiana, selling over 50 foreclosed properties in two years for prices at or above market after refurbishing and leasing the properties. In 1998, the company sold its portfolio, at which time Paula became an independent real estate consultant. Currently, Paula is responsible for Mohr Partners’ marketing and public relations efforts. She is also the coordinator for Mohr Partners’ facility management and international partnerships. Through her efforts, Mohr Partners has established international strategic alliance partners who are a seamless extension of Mohr Partners for managing client transactions abroad.